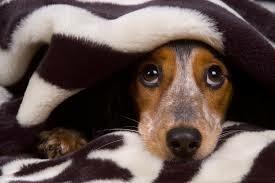 Imagine what it must feel like to be a dog or cat during the Festive Season, Guy Fawkes or Halloween and you will easily see how nervousness in dogs and cats can become a problem. Your whole life, to a greater or lesser extent, has always revolved around routines and established habits – where you sleep, what you eat, what humans you associate with. Then comes these holidays and everything changes all at once. You are put into the car and taken somewhere strange – kennels or friends or the holiday home at the beach. Or hordes of family members descend on your house. From there, things get even worse – loud bangs and flashes of light, drunk people and (eeeek!) strange children! Management involves doing things like acclimatising the animal to the fearful thing in advance. For example, you can purchase CDs with loud noises on them. Or you could slowly introduce the dog or cat to children in a controlled environment. Make sure good behaviour is rewarded. 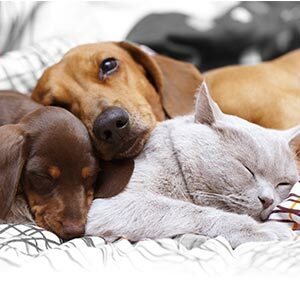 There are several herbal and natural remedies on the market that help animals deal with stress and anxiety. These usually need to be given a few days in advance in order to have a good effect. So, about a week before the stressful event, start adding the supplement to the food. My worst is the new pet owners who take their puppies to the beach for the day – no shade – no water and the sharp sand slicing away at those delicate paws. Worst of all they chuck Frisbees at these poor doggies who try so hard to please. Nowadays I never beach walk in the season. Young men who pull ladies with this doggie ploy get very threatening.